Hello, summer! 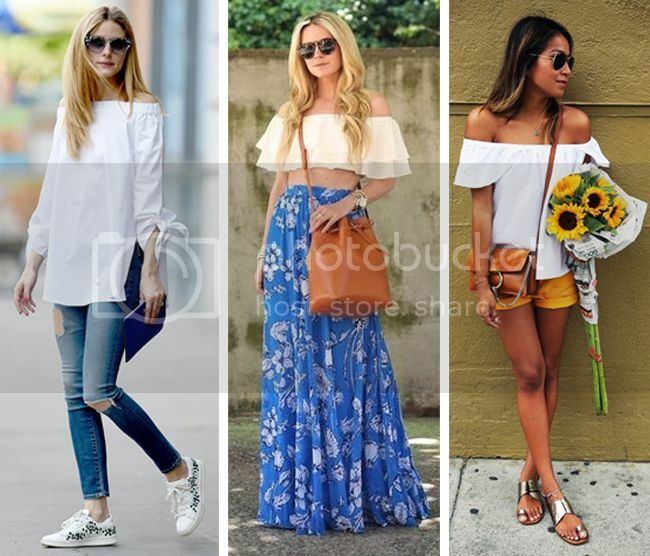 Tank tops, bodysuits, and breezy blouses may come to mind when you think about summer tops, but this season, it's all about bare shoulders and stylish off-the-shoulder shapes. Think of the collar bone as the new area of interest. Below, some of my favorite street style looks. Off-the-shoulder tops (and dresses) are easier to style than you think. They lend an easy, romantic vibe to any outfit while coming in a wide variety of silhouettes and prints. Go boho in an embroidered or lace blouse. 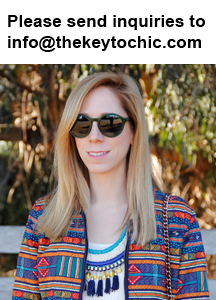 Show some skin in a cropped style like Blair Eadie. Channel a chic and sporty vibe in an oversized poplin version like Olivia Palermo. Feel feminine in a ruffled style like Julie Sariñana. (I'm currently eyeing this style under $50 by Mango and this lace one under $35 by H&M.) Whatever you choose, here are my top tips for how to wear the off-the-shoulder trend. Do show off that collar bone with radiant, glowing skin. Exfoliate with a dry brush and use a bronzer or shimmer lotion (I adore this one by Burt's Bees) for maximum glow. Don't stash away those necklaces, chokers or scarves. They're ideal for pairing with bare shoulders. Do tuck your top into your bottoms if your top is long and you're petite. This will create balance and give you a more polished look. Don't be afraid to choose a midriff-baring style. If you're modest, then opt for a high-waisted skirt or pants for a sliver of visible skin. Do wear your top with a strapless bra for a chic and streamlined look. Don't be afraid to try shoulder cutouts, prints, ruffles, and tie details.